ST. GEORGE — Two injured drivers were transported to the hospital after a three-vehicle crash at a busy intersection was set in motion when two cars attempted to make a left-hand turn and only one car made it through, while the third vehicle involved in the collision left the scene before officers arrived. At 1:15 p.m. officers and emergency personnel were dispatched to a three-vehicle crash at the intersection of South Mall Drive and East Riverside Drive that involved a white Chevrolet van, a black Nissan Xterra and a blue passenger vehicle which, according to witnesses, left the scene before help arrived. 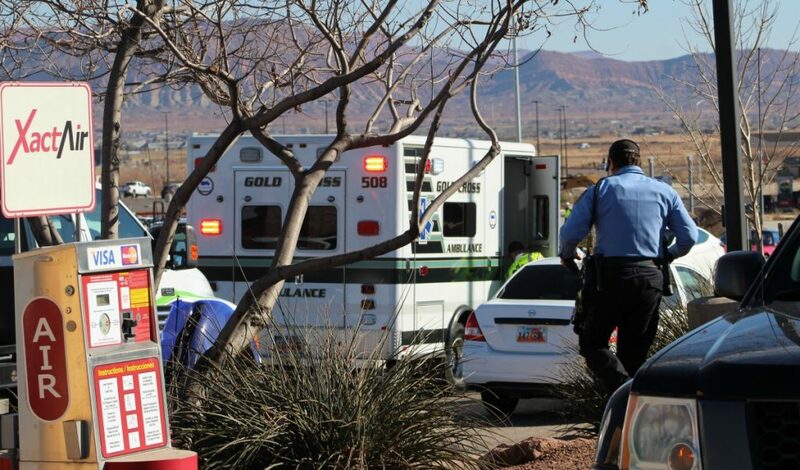 The woman driving the Nissan, as well as the man driving the Chevrolet, sustained injuries in the crash and were transported to Dixie Regional Medical Center for evaluation and treatment, St. George Police Officer Dave McDaniel said. Officers learned that the northbound Nissan was stopped behind another vehicle in the left-hand turn lane of South Mall Drive to head west on East Riverside Drive, while the Chevrolet was heading south on the same street. The driver of the Chevrolet entered the intersection just as the two vehicles turned directly in front of him, and he swerved around the first vehicle before striking the Nissan on the passenger side. The van then continued on a few more feet until it came to rest near the curb. The impact spun the Nissan around in the middle of the intersection before it was rear-ended by a third vehicle that was also headed northbound on Mall Drive. After impact, the Nissan came to rest blocking a northbound lane of Riverside Drive. The vehicle making the turn in front of the Nissan was able to clear the intersection without being struck. “Both vehicles made a left-hand turn directly in front of the van, so the van driver had a choice to either hit head-on with the first car, or yank the wheel and clip the side of the Nissan,” McDaniel said. 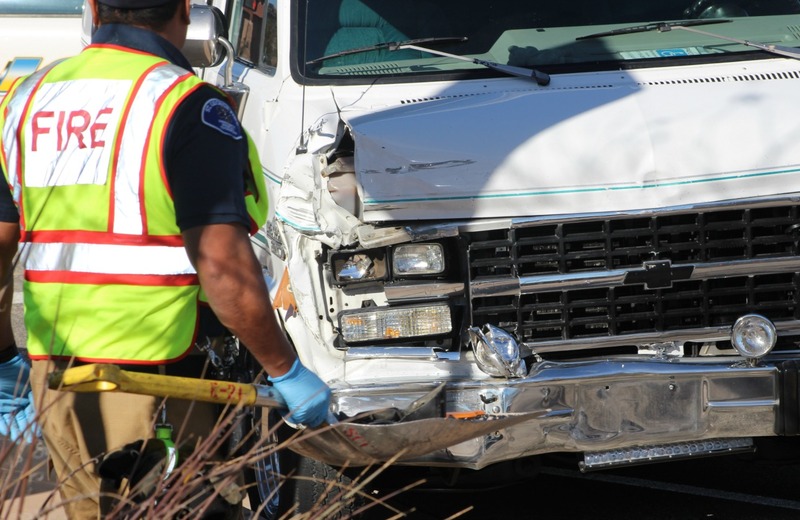 He went on to say that this could have been a head-on crash causing significant injuries without the evasive maneuver on the part of the van driver, instead of the non-life threatening injuries that both individuals were transported to the hospital with. The car that struck the Nissan was a bright blue passenger car, “late ’90s or early 2000s, similar to a Chevrolet Impala or Cobalt, something mid-size, but the driver stopped to check the car and then drove off,” McDaniel said. 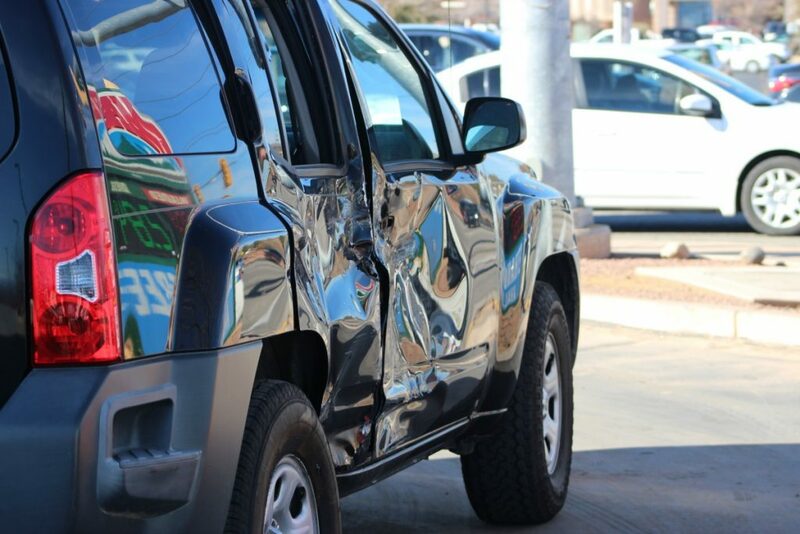 Both vehicles were rendered inoperable and were later towed from the scene, while the woman driving the Nissan will be cited for failing to yield on a left-hand turn. “The investigation is still ongoing, but that’s what she’ll be cited for at this point,” McDaniel said. 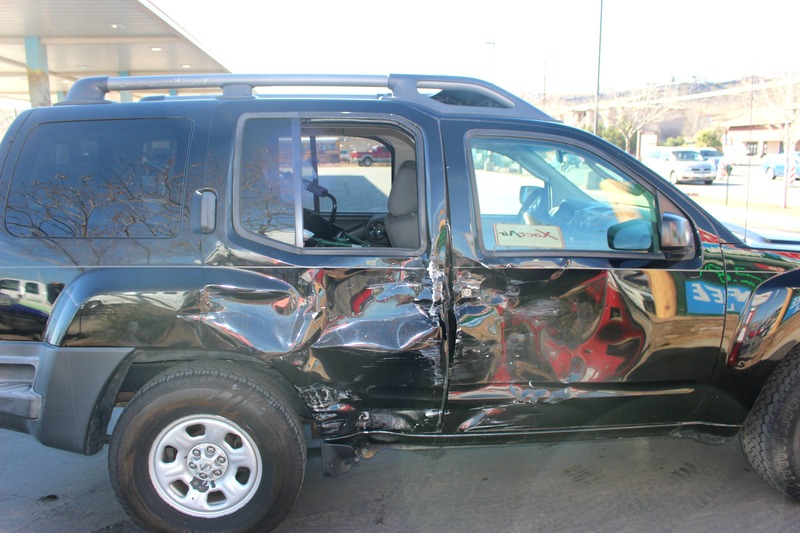 Authorities are seeking information regarding the third vehicle involved and have asked for the public’s help. 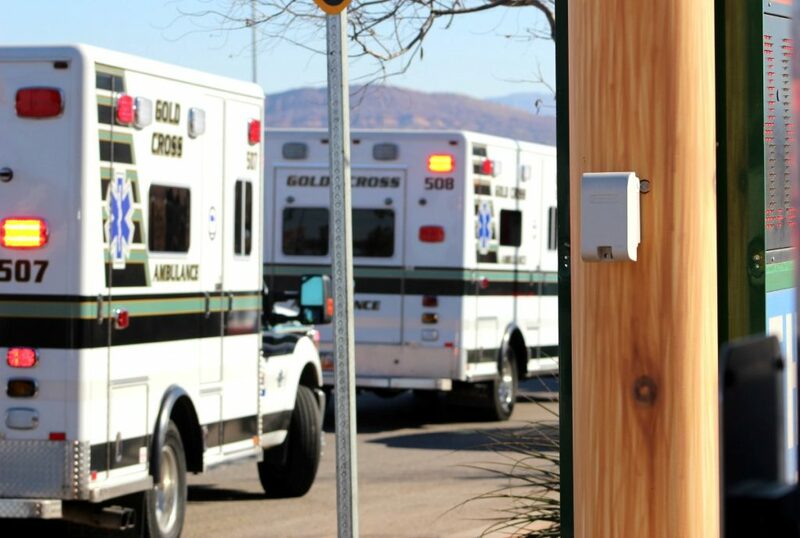 Anyone who may have witnessed the crash or has information about the blue passenger car or the driver is asked to call the St. George Communications Center at 435-627-4300. For the record, the names of the street are Riverside Drive and Mall Drive. It’s not East Riverside and South Mall, even if Google Maps says it is. The house numbers along those stretches include East and South, but the street names don’t.